After the big war in Europe the winners were able to tell the losers what they could or couldn’t do. When it came to BMW and their motorcycle production, they were told that they couldn’t build anything with more then one cylinder. 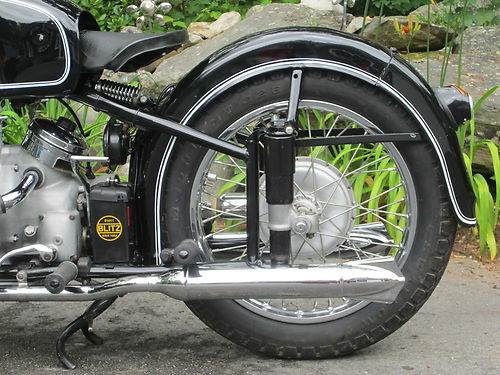 This only last for a few years, but when they got back into the twin cylinder game again, BMW could only re-hash their pre-war designs. Not until 1951 were they able to put a new design (at least a new engine design) into show rooms. 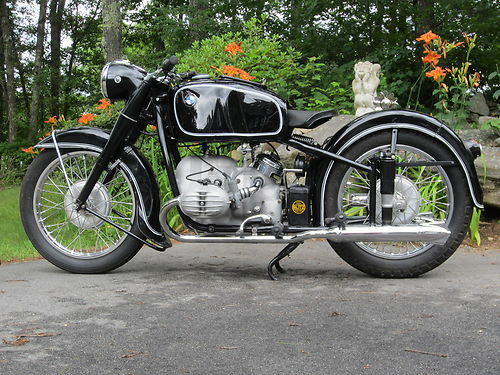 This 1952 R67/2 was one of the line up offered by BMW. 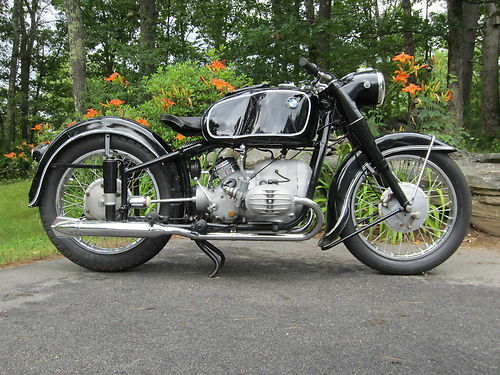 For 1951 BMW redesigned there flat twin cylinder and moved some of the external bits and pieces inside. 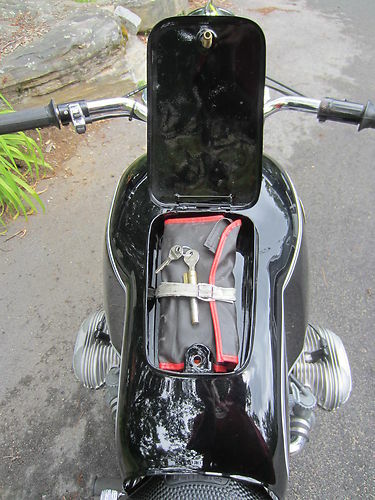 The major, visual redesign was to move the generator from the top of the engine under the front cover. You also went from a points and coil ignition to a magneto ignition system. Quick updates and changes between 1951 and 1956 gave you the R67, the R67/2 and the final R67/3. All are visually the same with only the brake hubs changing from a half hub design to a full hub design. The final analysis determined that a bike of this caliber warranted that we go deep into the motor and do things from scratch and that is exactly what happened. Complete bottom end. Crank and cam bearings, slingers, pistons, rings, cylinders, clutch, carbs and electrics were done by Barrington Motor Works. Everything was assessed and attended to. The heads were done by Randy Long. All new everything else, cables, wiring harness, brakes, rubbers and a new Denfeld solo seat. Brand new fishtail exhaust and headers too ! New Battery that has never been filled or charged. 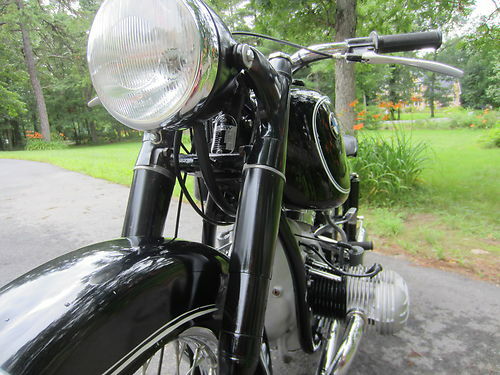 Nothing was overlooked, everything works as it was designed, including horn & lights. 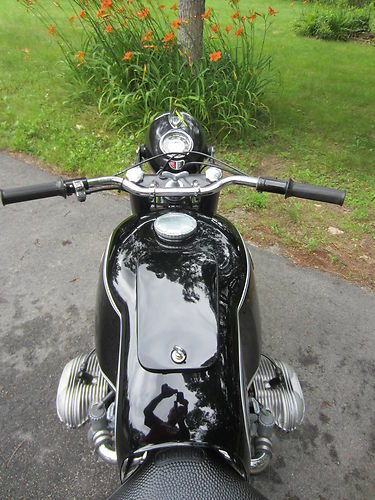 The seller points out that this bike was designed to haul a side car. 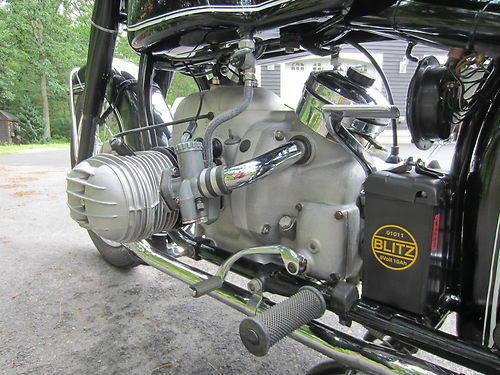 Performance numbers are 28hp at 5600rpm generated by a 6.5:1 CR, a pair of 24mm Bings giving you a top speed of 90mph, and 68mph pulling a side car. During this time the R51/3 would have been sold to the single man, and in 1954 the R68 would have been sold to the single man with the money and desire to go 100mph.